Try the YMCA with a FREE 7-day pass! Try the Y before you buy with a FREE 7-Day Pass. Your 7-Day Pass includes access to General and Universal Locker Rooms, facilities and drop-in fitness classes at all eight YMCA Calgary locations. To activate your pass, visit Member Services at any YMCA location on or before January 31, 2019. Offer expires January 31, 2019. This is an introductory offer for those who are not currently members. This offer can be redeemed once per person. The 1-week pass begins the day of sign-up and expires 7 days after. Love the Y? Save up to $75 on your membership! We’ll waive the joining fee when you purchase a membership by January 31, 2019. 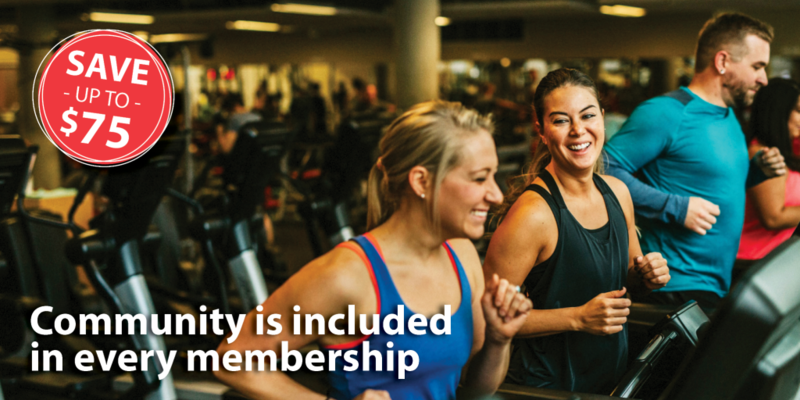 Along with connecting with a great community of people, you’ll receive access to all YMCA locations across Calgary and Canada, free drop-in classes, reduced rates on programs and more! 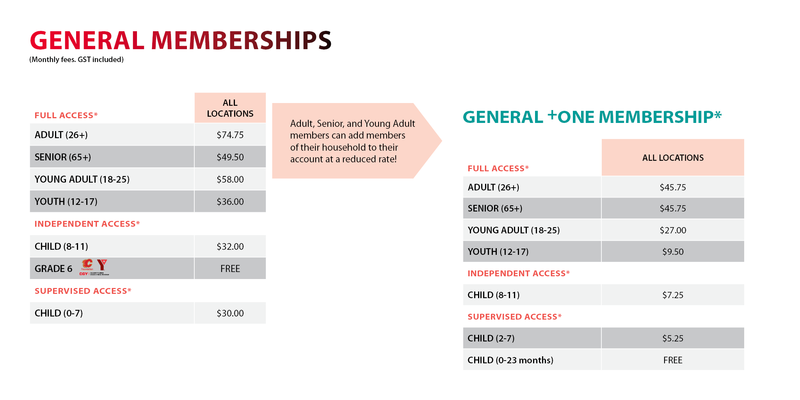 Click here to learn more about YMCA Member pricing and benefits. Save even more with a reduced rate membership! Take advantage of our +ONE Membership. Add one or more members from your household to your membership at a reduced monthly rate. Household members include anyone living in your household: a second adult, children, grandparents, roommates and more! Click here to learn more. * Every Grade 6 Student in Calgary receives a FREE membership and active programming during their Grade 6 year. Click here to learn more. * When applicable, the Adult (18+) member in the household will always be considered the primary member (additional members in all +ONE categories, will become +ONE members of the primary adult). *Level of access is determined by age and required supervision. Includes access to all areas including weight floor and drop-in fitness classes. Youth ages 12-17 require an orientation before accessing the weight floor. Includes access to all areas (without parent/guardian supervision) with exception to the weight floor and drop-in fitness classes.